Business owners who expanded into apps have seen how profitable it can be. In fact, mobile apps convert 120% more than mobile websites. But with around 3.6 million apps on Google Play Store and 2.2 million on Apple’s App Store, how do you get people to regularly use or even download yours? To create a successful app, you need to marry the elements of traditional marketing principles and the new components brought by the evolution of the digital/mobile age. This new marketing mix is essential for the construction of an effective, intuitive, and profitable app for your business. What Do We Mean By “Marketing Mix”? A marketing mix is the integration of the marketing principle of the Four Ps (product, price, place, promotion), which has been used for half a century by all major companies in the world. In addition to the original Four Ps, traditional marketing also includes 4 more (people, process, physical evidence, performance) concepts. Rounding off the perfect marketing mix is the relatively new concept called the Four Cs of Marketing. Instead of focusing on the business, it aims to see marketing from the perspective of the customer. The Four Cs are: customer wants and needs, cost of providing value, convenience, and communication. All in all, a marketing mix is made up of different strategies, tools, tactics, and methods used by entrepreneurs and companies to showcase their products and services to the market. It only considers the variables that you have control over. Understanding and having a good marketing mix is key to developing a strong and effective strategy for delivering the right message to your audience. They are indicators of your understanding of your customers and target audience. The product should work effectively, satisfy customer demand, and provide the solutions to customer problems. The product in this context is your app. 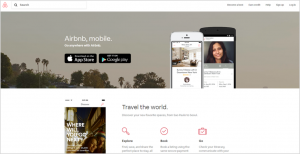 Ask these questions: Do your customers really need a native app? Is an app the best way to bring your products/services to them? The price of your app should allow you to turn in a profit while providing your customers value for their money. It needs to be correctly pitched. You should also take into consideration factors like market share and competition. Remember: there are millions of apps out there. Is your app worth paying for? Can you make it free? If you make it free, will you allow ads to populate it? How are your competitors monetizing their apps? Make your product easily available for customers through different channels. Or, alternatively, focus only on the most effective ones. This can be on your website, e-commerce store, apps, social media, etc. Your app should be available in all different app stores for different operating systems. Having it on your website ready for download is also beneficial. The more places where you can allow your customers to find and download your app, the better. Developing a good promotional strategy is fundamental to a successful marketing mix, as this will drive up awareness and eventually increase downloads. Advertising, public relations, and sales promos should be part of your promotions using the channels you want to target. How will your customers know you are launching an app? You can create an intro video, use direct email, place a CTA on your website, create a separate landing page, or create social media ads. Make sure you cover all different mobile platforms. Don’t forget your existing users as well, as word of mouth has always proven to be a powerful promotional tool. At the end of the day, a great promotional strategy will involve a combination of ways to reach your target audience. Take, for instance, Airbnb. Its landing page is not only linked to app download sites but also includes high-quality images that highlighted key app features. In addition to the traditional Four Ps, the digital and mobile age has brought three (plus one) more components that cater to the increased power of customers and their behavior. These elements may be more relevant for enterprises offering services and using multichannel schemes but can be used by all companies with a mobile app. Having the right people in your company can make or break your efforts. They are your most important asset and are directly responsible for delivering your product or service, as well as executing your marketing strategy. How will you use your team to man the app’s backend and frontend operations? What type of services will you offer that require direct contact with your staff? Some apps are only used for customer service, but this doesn’t necessarily have to be your case. What is the process in which your product and service is delivered? Is it easy to use, practical, and logical for the costumer? In this context, your app is the process that allows your customers to receive your product or service. Make sure your customers are able to see information on the go and save time; not the opposite. App use, at its best, should be intuitive. If your app comes with an instructional guide, then perhaps you should rethink your design. These are the tangible components of your company, products, or services. An app, website, logo, store, or blog are all considered physical evidence. Given that your app is also a physical evidence of your company, it needs to be in keeping with your brand in terms of colors and logos. It also needs to contain other relevant information that your customers may look for. Make sure your app icon communicates the product/ service you offer at a glance and creates brand recall. Since icons are small, it’s best to stick with a simple color palette. Also, keep an eye out for customer reviews and social media interactions of your app, as they also represent physical evidence of your app. 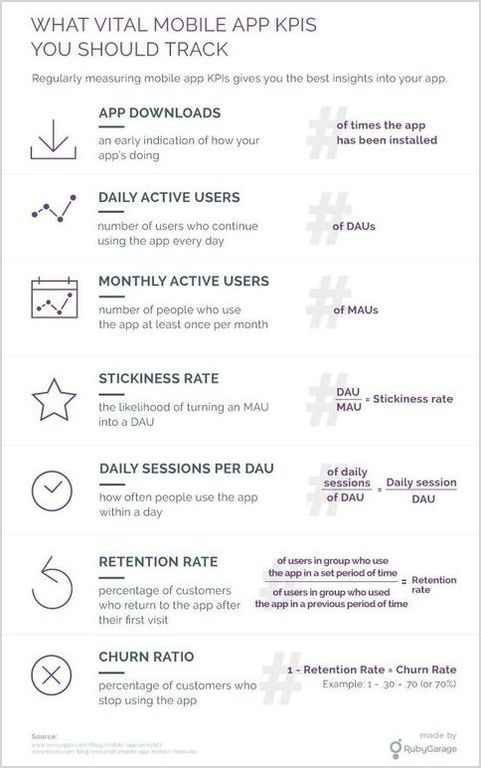 This defines how well your app is faring in the market, in terms of customer perception and/or actual data. Customer service, quality of products/services, and value for money can determine your performance. Below are other key performance indicators you should track to determine your app’s viability and success. In addition to customer reviews and social media interactions (as mentioned under ‘Physical Evidence’), conversions and bounce rates will say a lot about an app’s performance as well. Take the time to read reviews, especially those in the middle ground, to know what your app’s strengths are and which areas need more work. The two- to four-star reviews usually provide more quality feedback, as those in the extremes are either one-word superlatives or expletives. 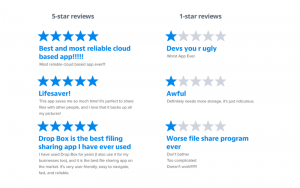 Take a look at how Dropbox gained interesting insights from their reviews. They found out that their app was being used other than its intended purpose—some use it to play music, while others use it to take down notes. This then motivated them to continue improving their service. As we mentioned above, the concept of the 4 Cs of marketing came from the need to obtain a better understanding of the customers’ point of view, so you can better present your products/services to them. This is as opposed to the traditional mass marketing concept (The 4P’s), wherein audiences tend to be seen as a large featureless mass with only a shallow awareness of their needs. A simple question should be answered here: does your app really satisfy your customers’ desires and needs? This is the counterpoint to the traditional product component, wherein the story begins with and focuses on the product itself. With the first C of marketing, the focus shifts to the consumer, giving marketers the impetus to really take the time and study their buyers—find out what if they need an app, what would users want to see in it, etc. Cost looks into the total amount of resources that goes into producing the app. This is in contrast to price, which only looks at the amount of money your customers are willing to pay for your app (i.e. the seller’s perspective). In this variable, price positioning is only one part of the factors that go into the entire cost. You also need to look at, among others, the affordability (e.g. are your customers willing to pay for your app? ), real cost (e.g. what is the total cost for the consumer to get your app? ), inconveniences (e.g. will your customer be able to use your app easily? ), and profitability (e.g. will you be profitable at the price point that your customers are willing to pay?). As opposed to the Four P’s place, convenience takes on a more customer-oriented approach by knowing the preferred touchpoints of your target market. When creating an app, look into the following: Is the app conveniently available to all mobile device that your consumers use? Is your app intuitive? If you were a random customer, would it be easy for you to find and identify the app? Let’s be real—no one likes ads. People literally pay to not see ads. That said, under the communication variable, you need to communicate instead of promoting. If you develop a creative dialogue that is genuine and humane, your customers will engage with you. They will feel that they are actually being talked to, and not a mere sales target. So make your app people-friendly and avoid having ads unless necessary. When communicating, make your customers feel as if the app is something that will contribute to easing their day-to-day lives. Unfortunately, your marketing plan doesn’t have a passport or a visa, and bringing it “illegally” can be disastrous. Developing an international marketing mix can save you a lot of money and headaches if you are pushing your product/service abroad. Your local marketing mix may have many similarities with your international one, but failing to identify and tend to the difference can spell catastrophe. 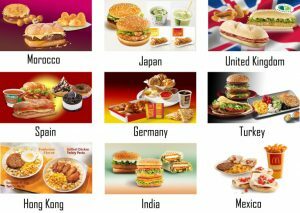 The best example of an effective international marketing mix is McDonalds. They research the culture, customs, and menu preferences of the country they wish to expand to and accommodate their marketing and products to that set of customers. Gathering information is fundamental to the development of a good marketing mix; you can’t ever know too much. What works in one country in terms of promotion can even be offensive in other. If your prices don’t adjust to the spending power of your target audience, they simply won’t be able to afford it. Finally, the production methods and channels may vary greatly even from region to region. In the case of your app, is it in the language of the country in which you’re expanding to? Are you aware of their holidays? Are you familiar with their usual online payment methods? Can they share and connect through their preferred social media platforms? And finally, what will set you apart from the local apps and products/services? For Nike+ Run Club, the app took to WeChat, China’s no. 1 social platform, when its goal was to penetrate and reach the growing Chinese market. 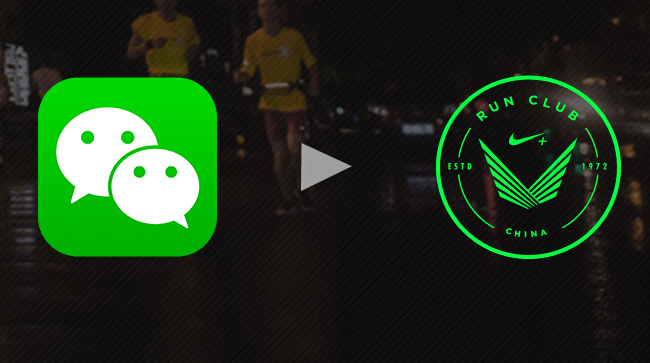 By creating its own WeChat account via engaging its audience and replying with run routes and groups, more than 100,000 signed and over 3,000 run crews were formed in just two months of the campaign launch. In today’s ultra-competitive digital age, having a sound marketing mix is necessary. Customers have more power than ever and are aware that their options abound. The way they shop and behave has also changed, and they continue to lean towards more mobile shopping and digital interactions. 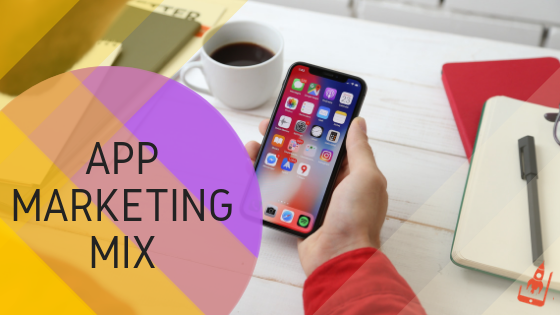 Creating your app is the first step, but building your marketing mix is the way you can ensure that your app (and consequently, your product/service) will attract and engage the modern customer. 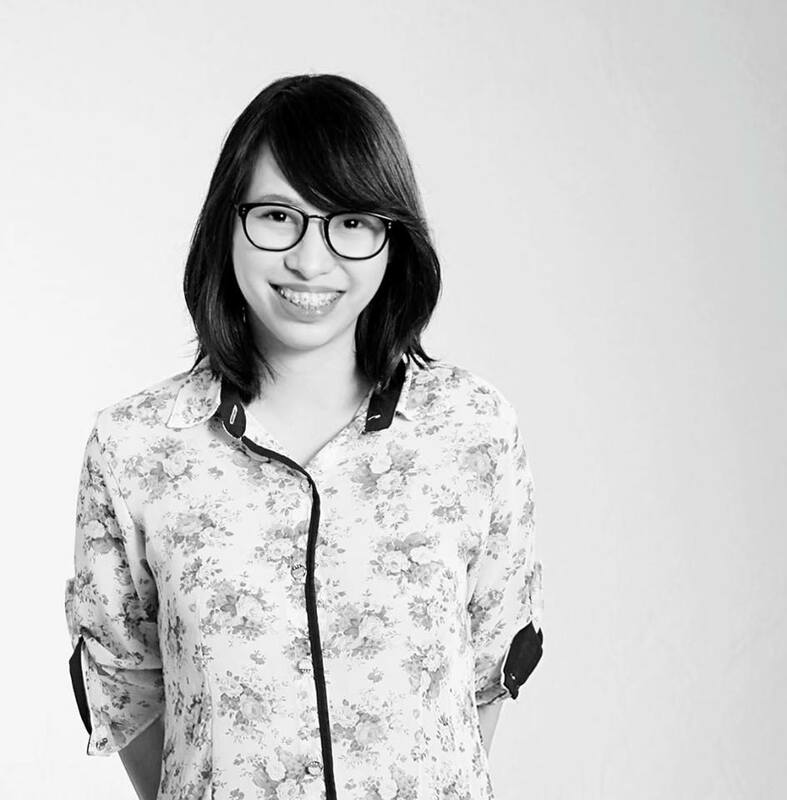 Jolina is a marketing strategist working with several startups and websites based in the US, UK, and Australia. She is currently working with top SEO Specialists from the Philippines with Grit.ph and Avaris.io to formulate new and innovative SEO strategies. Mobile App Creation- An A-Z Guide Of Tools, Agencies And More! Do I have any specific tips for my real estate business. Any specific resource for reference would also help!! Hello Jolina, your blogs are really helpful in relation of App marketing. Hopefully, you will write more valuable blogs in future about digital marketing profession.